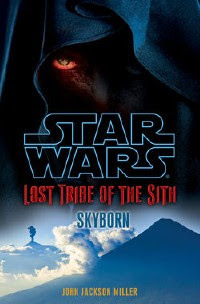 Faraway Press: The Online Home of John Jackson Miller: Lost Tribe of the Sith #2: Skyborn is out! I expect this thread will be updated as it appears more places — presuming my hosting company doesn't go down again as it did this morning — by Star Wars: Lost Tribe of the Sith #2 is now available for free download. It is currently on Amazon in a Kindle edition; it is also now available for simple PDF download directly from the StarWars.com site. It's also available from Sony. The ebook contains a preview excerpt from Troy Denning's upcoming novel, Fate of the Jedi: Abyss.